Mini ATX was created by AOpen to be a small, lower-power motherboard. Micro ATX (sometimes referred to as µATX, mATX or uATX) is a standard for motherboards that was introduced in December 1997 to be backwards-compatible with existing systems but provide a smaller form factor. The maximum size of a micro ATX motherboard is 244 mm × 244 mm (9.6 in × 9.6 in), but some microATX boards can be as small as 171.45 mm × 171.45 mm (6.75 in × 6.75 in). Mini ATX is a 15 x 15 cm (or 5.9 x 5.9 inches) motherboard. Micro ATX is designed to be used with small computer cases as a personal computer. MicroATX was explicitly designed to be backward-compatible with ATX. 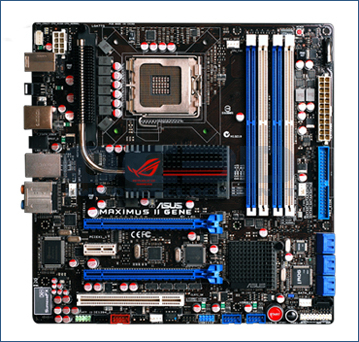 The mounting points of microATX motherboards are a subset of those used on full-size ATX boards, and the I/O panel is identical. Thus, microATX motherboards can be used in full-size ATX cases. Furthermore, most microATX motherboards generally use the same power connectors as ATX motherboards, thus permitting the use of full-size ATX power supplies with micro ATX boards. Micro ATX boards often use the same chipsets (northbridges and southbridges) as full-size ATX boards, allowing them to use many of the same components. However, since microATX cases are typically much smaller than ATX cases, they usually have fewer expansion slots. 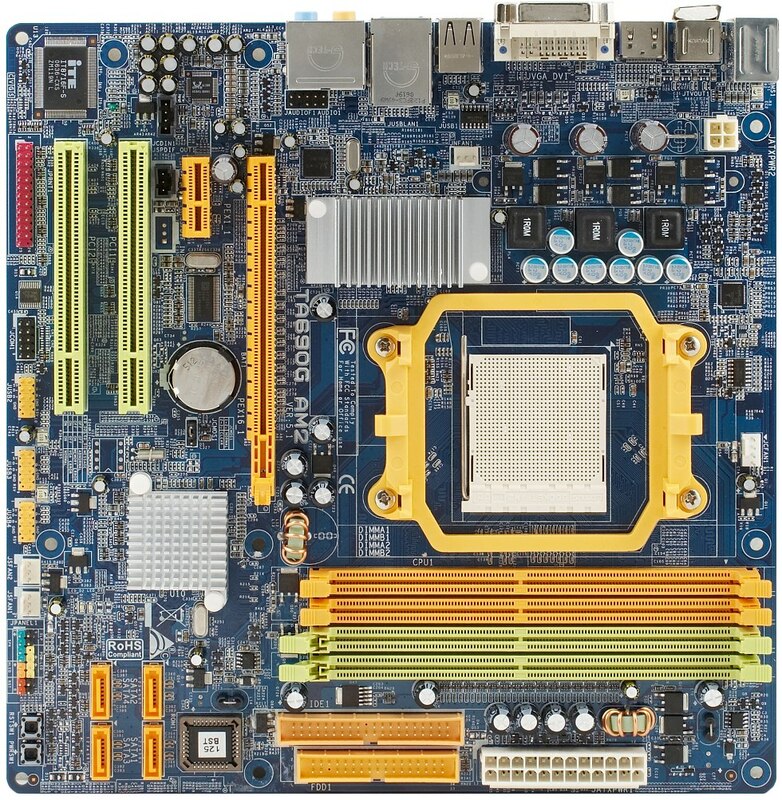 Most modern ATX motherboards have five or more PCI or PCI-Express expansion slots, while microATX boards typically have only four (four being the maximum permitted by the specification). 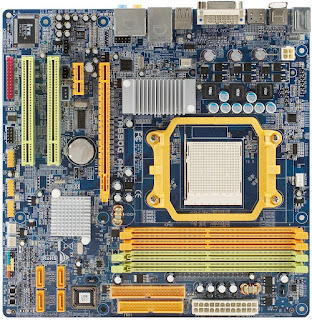 In order to conserve expansion slots and case space, many manufacturers produce microATX motherboard with a full-range of integrated peripherals (especially integrated graphics), which may serve as the basis for small form factor and media center PCs. Mini ATX is a popular choice when creating embedded computers in applications such as ATMs and digital signs, as it runs cool and quietly. Mini ATX motherboards were designed with MoDT (Mobile on Desktop Technology) which adapt mobile CPU for lower power requirement and less heat generation, which makes them ideal for home theater PC (HTPC) and car PC for consumer and application PC for industrial.